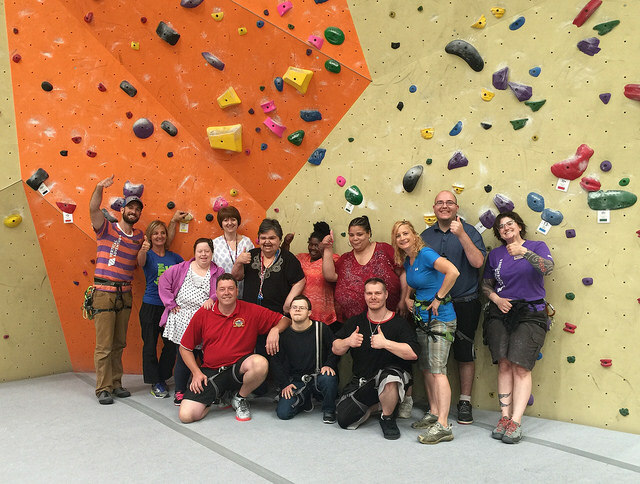 We believe climbing is for everyone and we provide opportunities for people of all abilities to climb with us. Looking to experience the joys, benefits, and challenges of rock climbing? 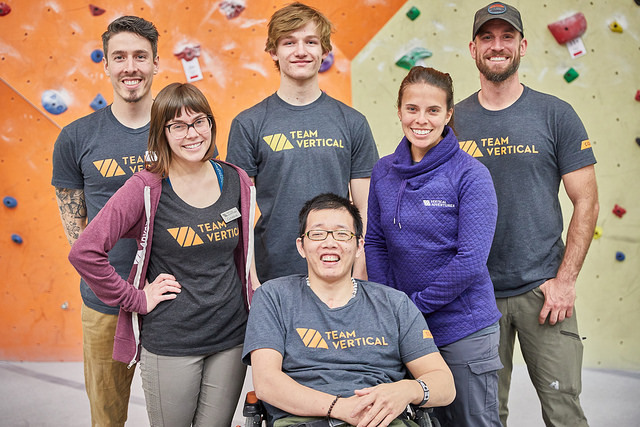 Join us for our next adaptive climbing clinic! 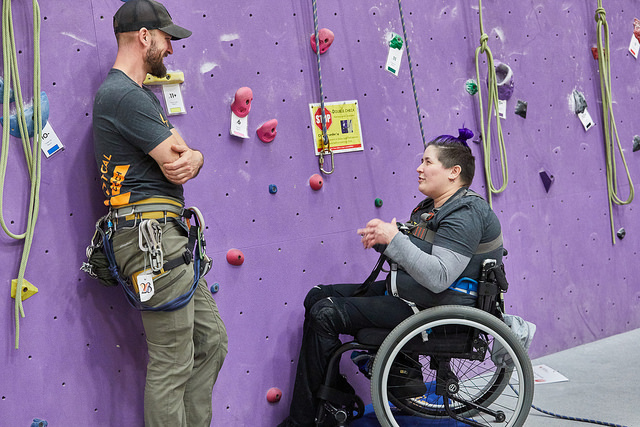 Designed to offer adaptive climbing opportunities to any individual with a disability or exceptionality, these events are FREE and open to the community. 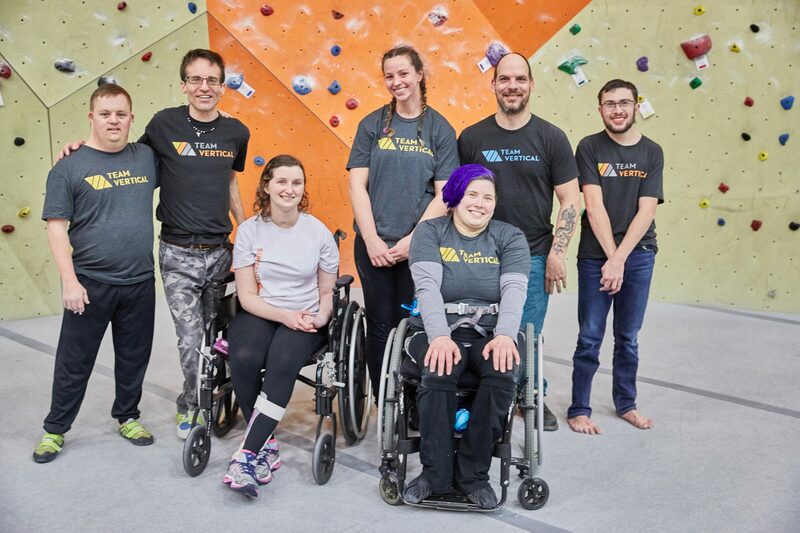 Climbing is inherently an adaptive sport, we all have different strengths and styles. Learn top rope and bouldering skills at your own pace while enjoying the physical and mental challenge of rock climbing. 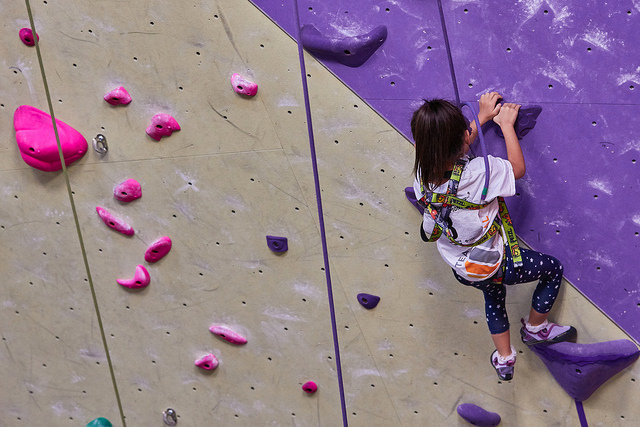 We teach little climbers technique and problem-solving skills in a controlled and encouraging space at our youth training center located just down the street. If you have a group or class looking for a private climbing experience, please complete the contact form below. Our amazing staff provide belay support, easy-seat climbing access, and overall cheer to make each event memorable and fun!